I have a 10 marla file of DHA Gujranwala. If I sell it today how much u will pay me??? Sir what is current price of 10 marla & 01 kanal? I there any effect on plot file due to transfer fee increase…….! What is ur suggestion for investment in DHA Gujranwala, prices will go up or down during Ramadan! I dont think there will be any effect of transfer fee increase in file prices. 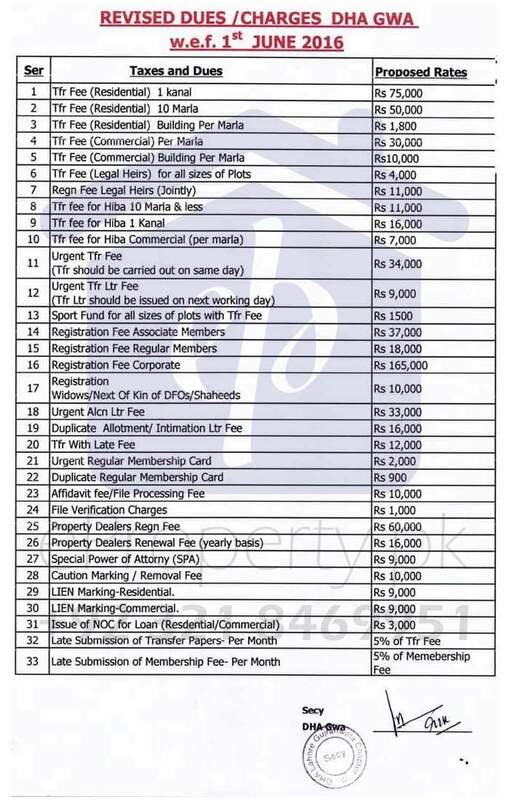 As transfer fee was 6500 for 1 Kanal affidavit before, now it is 10,000. Although the change in percentage is 35% increase in transfer fee but in value it is nothing as compare to files gains normally. DHA Gujranwala is recommended for long term investment. Location is also fine. There will be huge demand for DHA Gujranwala in near future due to neighbor cities like Sialkot, Daska, Gujrat, Kharian & Wazirabad etc. All these cities are potential customers for DHA Gujranwala and Gujranwala it self. But local buyer and end consumer will enter into the market once some thing can be seen on ground. People are just waiting for it. Once thing can be seen on ground price will shoot.